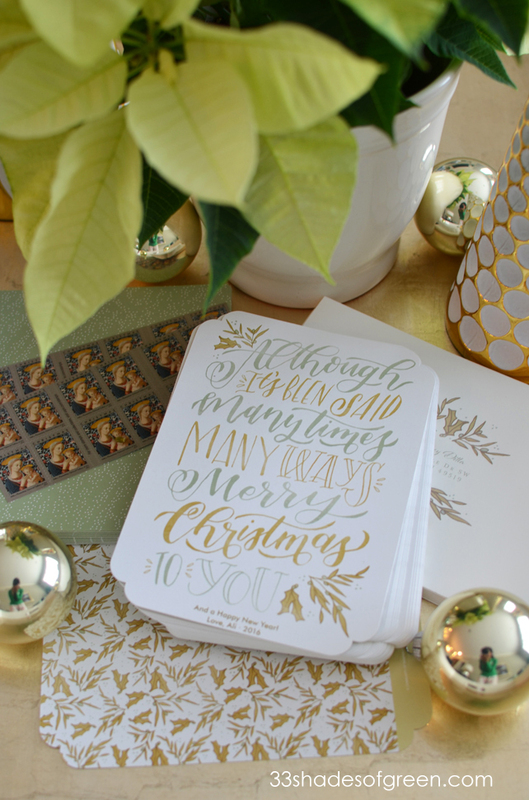 One of my favorite parts about the Holiday season is sending out and receiving cards. 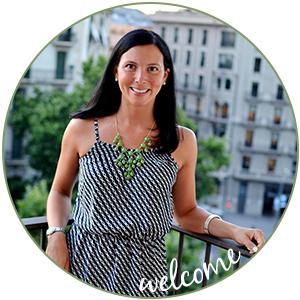 I am a huge fan of Minted and have fun picking out a design each year. I love my cards this year! 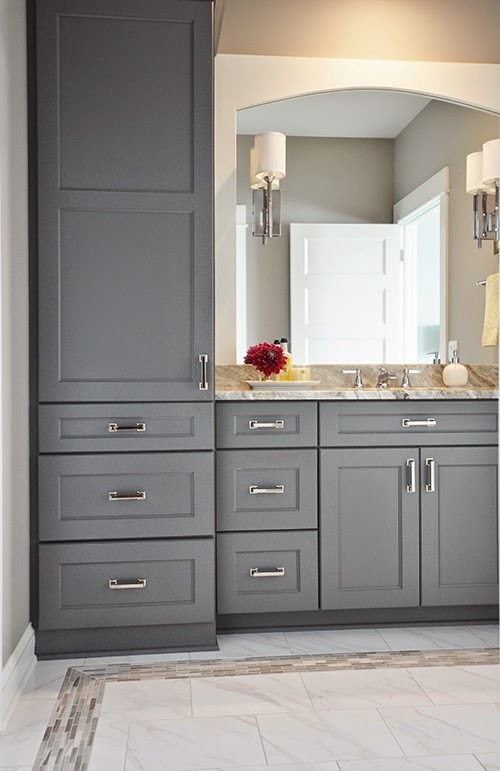 I picked the Although it's Been Said design because I loved the simple design and neutral colors. 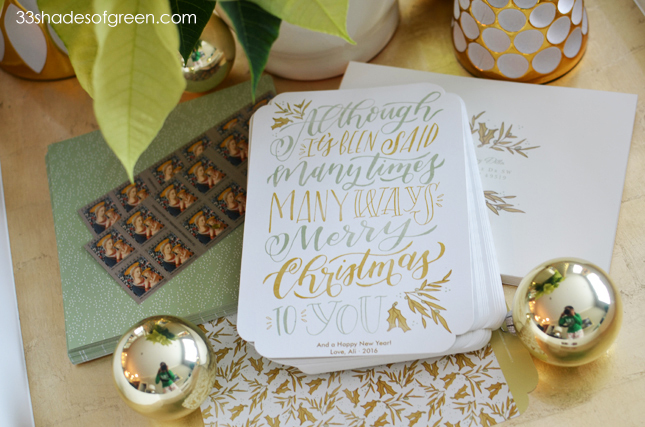 And of course, I love the patterned envelope insert, envelope wrapper and having Minted address my cards, too! You know what's funny about taking photos with Christmas bulbs in them? You can't avoid your reflection! Yep. That's me in a green Michigan State tee and my pajama pants. Haha. Love this sentiment and design! 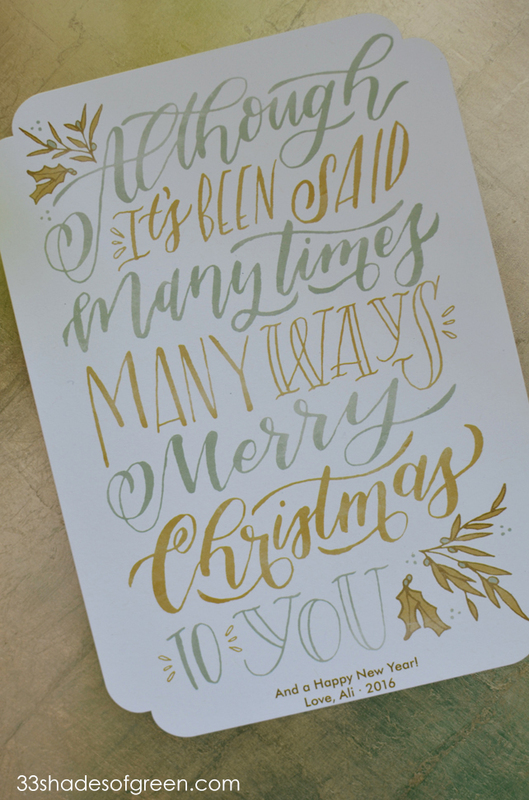 There's still time to order gifts from Minted - Use code GIFTEVENT for 15% off and a free upgrade to priority shipping. 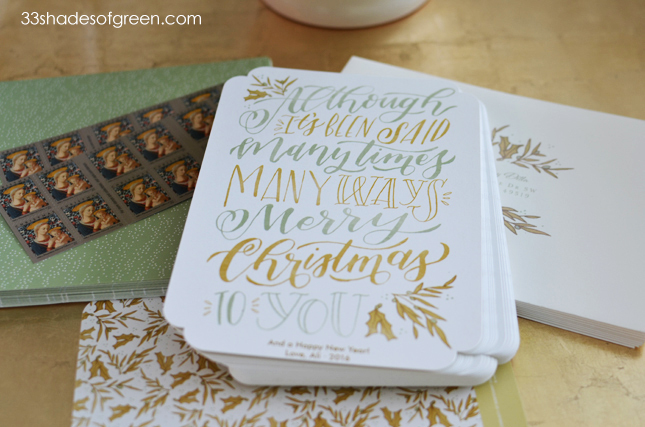 Maybe you were too busy to order Holiday cards this year? Send out New Year's Cards instead! Minted has a pretty fantastic collection. Shop it here. Use code WINTER16 for 15% off! I love your Christmas card- looks so good! So beautiful Alissa! 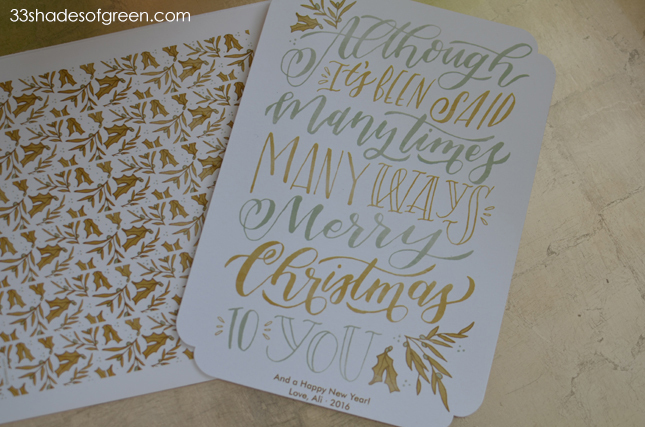 I love Minted!